At Zigo & Associates, LLC, we're devoted to meeting the accounting and tax needs of small business owners and individuals in the Commerce Township, MI area. Our clients depend on our perfect blend of practical accounting and bookkeeping solutions, quality financial advice, and friendly service, all delivered at competitive rates. We offer money-saving tax planning strategies so you can be confident you’re not missing any deductions at tax time. Whether you’re looking for a full package of accounting services for your small business or are an individual that simply needs income tax return preparation, we're here and ready to help. As a local business, we care about the community and extend a free initial consultation to anyone interested in learning more about our tax and accounting services. Call us at 248-360-6400 now to schedule your appointment and find out how we can put our years of experience to work for you. Daniel J. Zigo, managing member of Zigo and Associates with over thirty years of experience in accounting, tax, and financial planning. In 1989 Dan graduated from Ohio University with a dual major in business law and accounting. After graduation, he worked at The Limited Corporation as senior internal auditor which gave him the experience in all retail operations. His career then evolved to working with Pro Golf as the Controller specializing in setting up franchises per their business model. In 1994, Mr. Zigo received his CPA certification. In 1994, Mr. Zigo formed Zigo and Associates which was affiliated with Triple Check Business Services with 300 offices nationwide specializing in small business tax, accounting, and financial planning. In 2004, Zigo and Associates formed an affiliating office in St. Louis, Missouri and in 2013 another location was added in Dallas, Texas. Today, Zigo and Associates currently has 3 regional offices that are specializing with clients all over the United States. 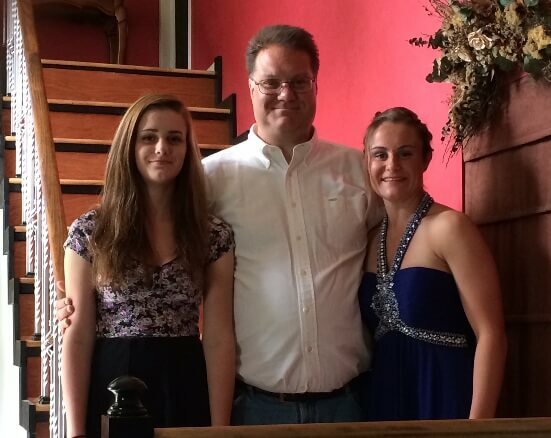 Dan resides in White Lake, Michigan and is the proud father of two beautiful daughters, Dominique who graduated from Lakeland High School and Danielle who will graduate from Walled Lake Northern High School. For the past two decades, Mr. Zigo has been the club director and coach for a local travel youth basketball team and assists with other youth sports within the community. He also enjoys traveling when he gets the opportunity.